The Santa Ynez Valley is steeped in serene country views, unique shops and wineries, and charming homes. The landscaping for your Santa Ynez property should reflect this blend of stunning scenery and down to earth luxury. Wild Bloom is a team of artistic designers and experienced technicians committed to crafting sustainable landscapes that are custom designed for you and your visitors to enjoy. Our landscapes feature native gardens, peaceful patios, complete outdoor living areas, unique hardscapes, and just about anything you can dream up for your outdoor space. 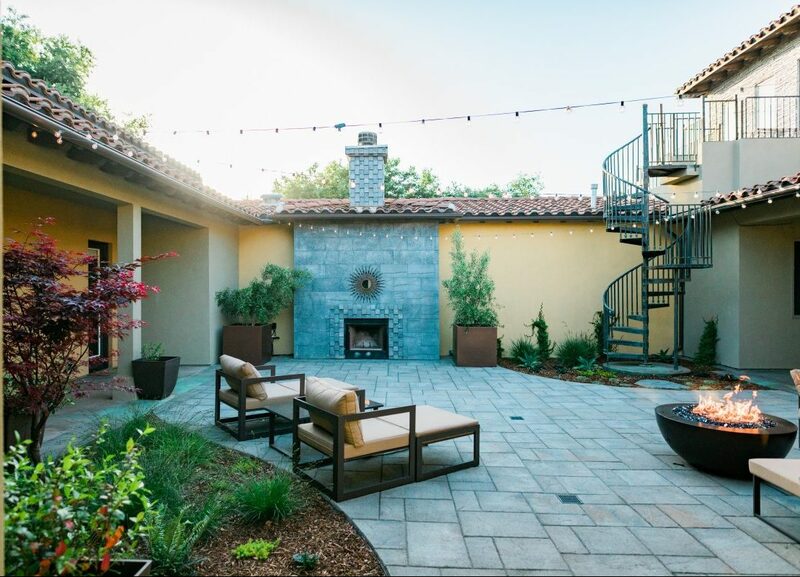 Landscaping in the Santa Ynez Valley requires a diverse knowledge of local soil and climate conditions, paired with expert design and landscape construction skills. Wild Bloom accounts for these local conditions by making informed design choices to give you a landscape that will thrive throughout the year. We focus on a sustainable approach by including landscape features such as low water plants, permeable hardscapes, drought-tolerant lawn alternatives, rainwater harvesting, and low-maintenance landscapes. When combined with our signature artistic design sense, you get a fully functional and stunningly beautiful outdoor space.